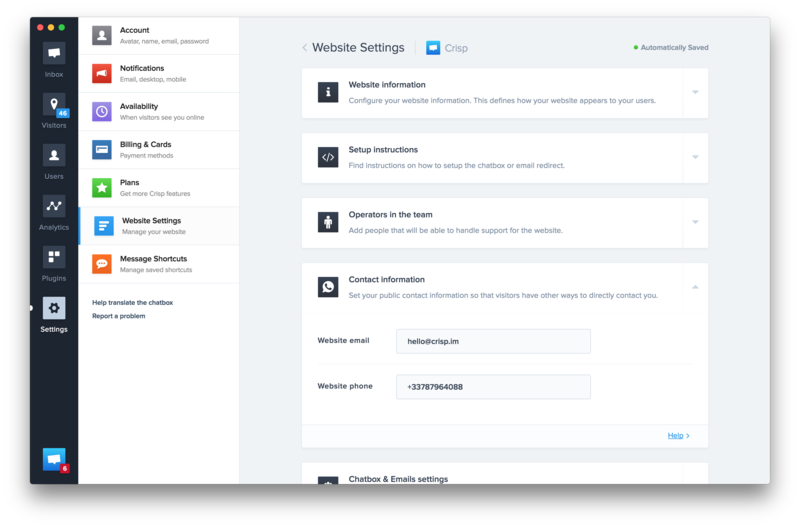 Crisp allows you to set alternative ways for users to reach you: by email, or by phone. This article describes how you can configure those contact details. 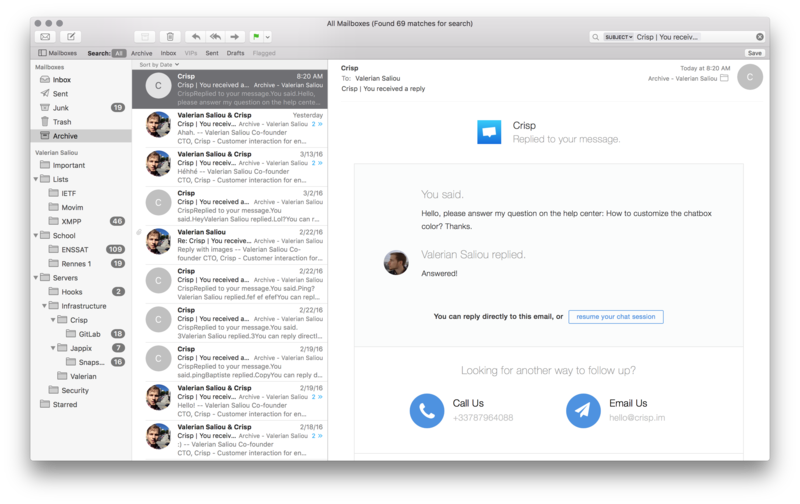 Those alternative contact details will be visible in emails Crisp sends to your users when you reply to a message they sent, as "Call Us" and "Email Us".